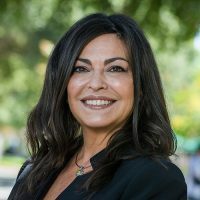 Beatriz Gonzalez is the chief diversity officer, vice provost, and professor of educational counseling at the University of La Verne. Gonzalez’ role underscores a unified approach to the retention of students, faculty, and staff with an intentional focus on diversity, equity, and inclusion. Within this integrative structure, the offices reporting directly to Gonzalez include: Wilson University Library, Center for Advancement of Faculty Excellence, Office of Religious & Spiritual Life, La Verne Experience, Academic Support & Retention, Office of Civic and Community Engagement, Student Affairs, and Sponsored Research & Programs. Formerly, as vice president for planning and enrollment at St. Thomas University, Gonzalez had oversight of strategic planning, annual planning and assessment, institutional research, enrollment management, athletics, emergency management, and student affairs. Gonzalez is a fellow of the American Council on Education (ACE) and a E. Kika De La Garza Fellow of the United States Department of Agriculture with an emphasis on Hispanic Serving Institutions. Gonzalez serves on the national Women’s Network Executive Council for ACE and is a Board member of the ¡Adelante! U.S. Education Leadership Fund. Gonzalez is also a Licensed Mental Health Counselor (Florida State Board of Clinical Social Work, Marriage & Family Therapy, and Mental Health Counseling).